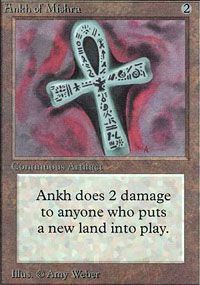 Whenever a land comes into play, Ankh of Mishra deals 2 damage to that land's controller. At the beginning of your upkeep, you may pay 3. 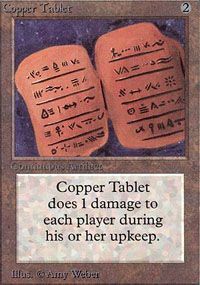 If you do, untap Basalt Monolith. 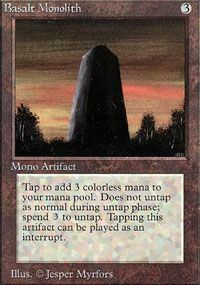 Tap: Add three colorless mana to your mana pool. 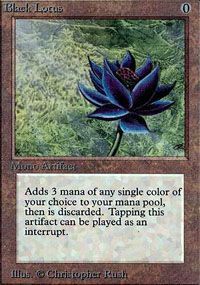 Tap,Sacrifice Black Lotus: Add three mana of a single color to your mana pool. As Black Vise comes into play, choose target opponent. 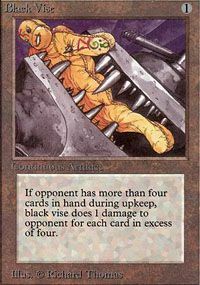 At the beginning of chosen player's draw step, Black Vise deals X damage to that player, where X is the number of cards greater than four in his or her hand. 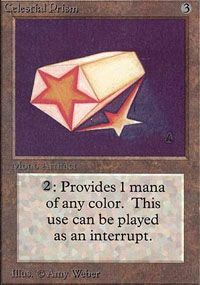 2,Tap: Add one mana of any color to your mana pool. 1,Tap: Flip Chaos Orb onto the playing area from a height of at least one foot. 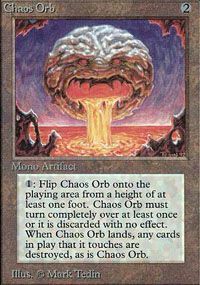 If Chaos Orb turns completely over at least once during the flip, destroy all permanents it touches. 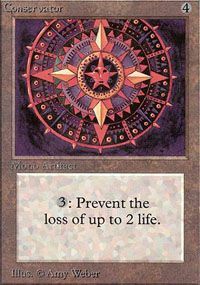 Put Chaos Orb into its owner's graveyard. Clockwork Beast comes into play with seven +1/+0 counters on it. 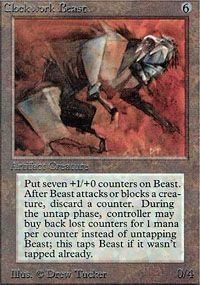 X,Tap: Put X +1/+0 counters on Clockwork Beast. Play this ability only during your upkeep. 3,Tap: Prevent the next 2 damage that would be dealt to you. 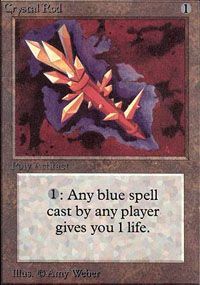 Whenever a player plays a blue spell, you may pay 1. If you do, you gain 1 life.